Wow Sue very good advice that I need to heed! Easier said than done. In my experience it took me awhile to get ready but when I was, there was no turning back. Good luck! Sue…such beautiful words…I knew you when you were a young little girl & I admire all the knowledge you have gained as a self fulfilled woman. Thank you, Michelle. You are a light in my life. I loved this, so many good things to think about. Thank you for your honesty and wisdom. It takes a lot to put yourself out there, Sue, and that won’t go wasted. 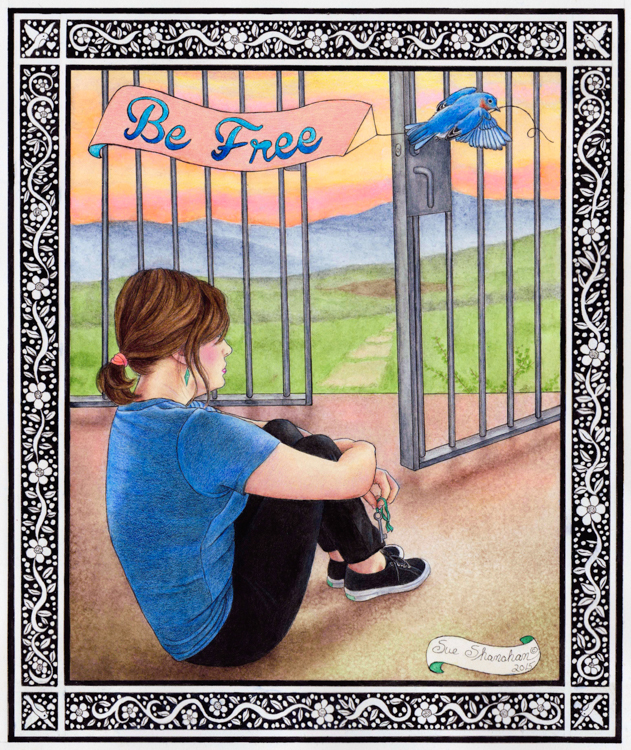 On the wings of prayer, that illustration and your writing will bring freedom to someone. May the Angels always watch over you. That is one of the most beautiful things anyone has ever told me. Thank you!